One of the best ways to turn up your biomechanical effectiveness, strengthen your feet and ankles and improve balance is with the Sockwa X8, a barefoot minimalist running sock built with an impressively thin, yet durable, rubberized, grippy outsole that provides similar sensory-richness as going barefoot. Because the outsole is so thin, the Sockwa X8 does a magnificent job at enabling you to connect better with the ground, helping you take charge of executing more balanced and efficient running mechanics that’s also good for injury prevention! When you can sense the ground when you run, your movement awareness will stay powered up which will help spur lighter footsteps. Not a fan of the toe shoes? (right). 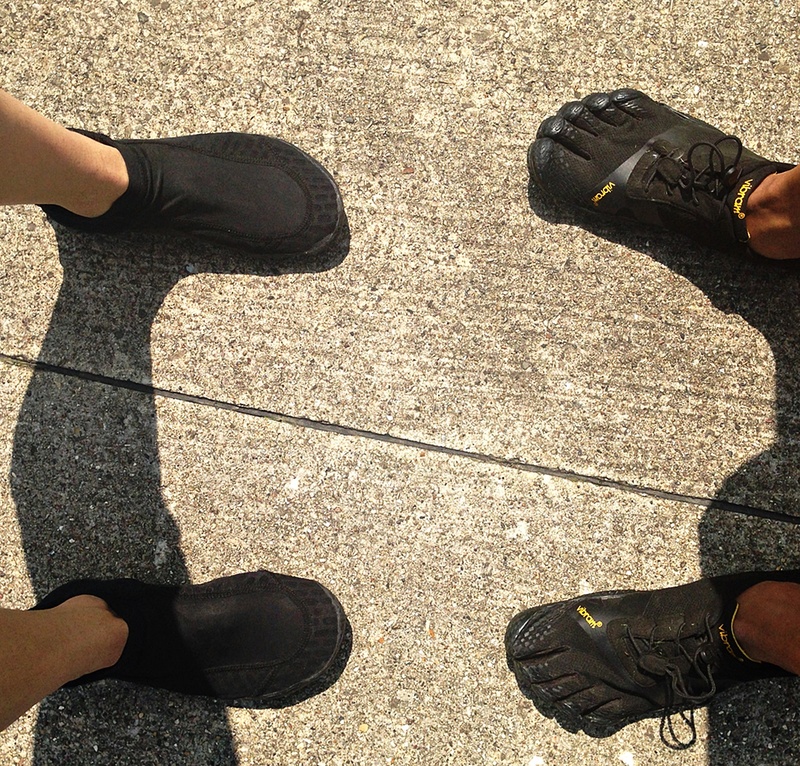 The Sockwa X8 (left) is the perfect alternative for those who have a hard time adapting to the toe sockets of the Vibram FiveFingers. The overall upper of the Sockwa X8 is stretchy and completely adaptable across the entire foot, thereby accommodating to a wider foot. Like the Vibram Five Fingers, minus the toe sockets, the Sockwa X8 has a feather-light feel, is constructed with few materials, the fabrics are radically flexible and hugs to your foot like a sock, is extremely low profile and delivers a constant rate of sensory feedback, which collectively enables continued stimulation that makes it easier to develop stronger feet more quickly. Ultimately, the Sockwa X8s structure really does match the barefoot condition. Therefore, if you don’t want go barefoot, you can certainly fall back on the Sockwa X8 as a good starting place in strengthening your feet and ironing-out mechanical wrinkles during running. One of the MANY bonuses of the Sockwa X8 is its weather versatility as the shoe is structurally intended for the winter and summer, enabling you to enjoy running all year long! I always underscore that safe, productive running can be threatened if you cannot adequately feel the ground, if foot flexion and function is restricted and if your arches are superficially supported, like so often the case in most traditional running shoes. This is why I strongly feel that the Sockwa X8 can really add value to your biomechanical improvement progress and sustained foot health! 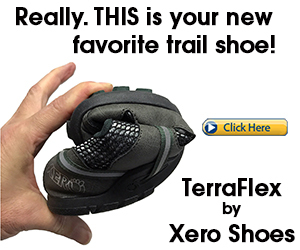 Thanks to the barefoot-mimicking, paper-thin outsole, the X8 does a great job at helping ensure your forefoot strike is on target during running AND the lack of external support prompts arch engagement, helping the arches become more spring loaded, more functional which can help bolster running economy! What’s the Shoe Good for? Because of its extremely low-profile, flexibly, nimble-agility AND lightness, the Sockwa X8 is ideal for speed-work, 5-km races, racing distances up to the marathon on the beach, roads, the track and soft, light easy trails. 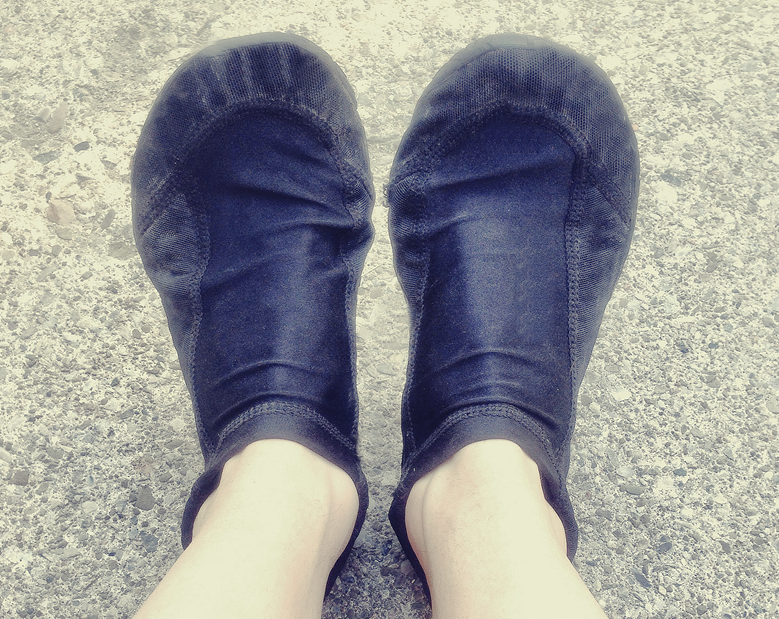 But I must emphasize that the Sockwa X8 is prefect for the runner who likes A LOT of ground-feel! There is virtually zero cushioning in the Sockwa X8, so this shoe is perfect for the barefoot crowd, but not for the runners who love a cushioned ride. With that said, if you prefer some under-foot padding for pebbly, stony-littered terrain, the Sockwa X8 may not be for you. How Do They Compare to Other Minimalist Shoes? The Sockwa X8 is truly one of the most thinnest, most barefoot-minicking minimalist running shoe out there! 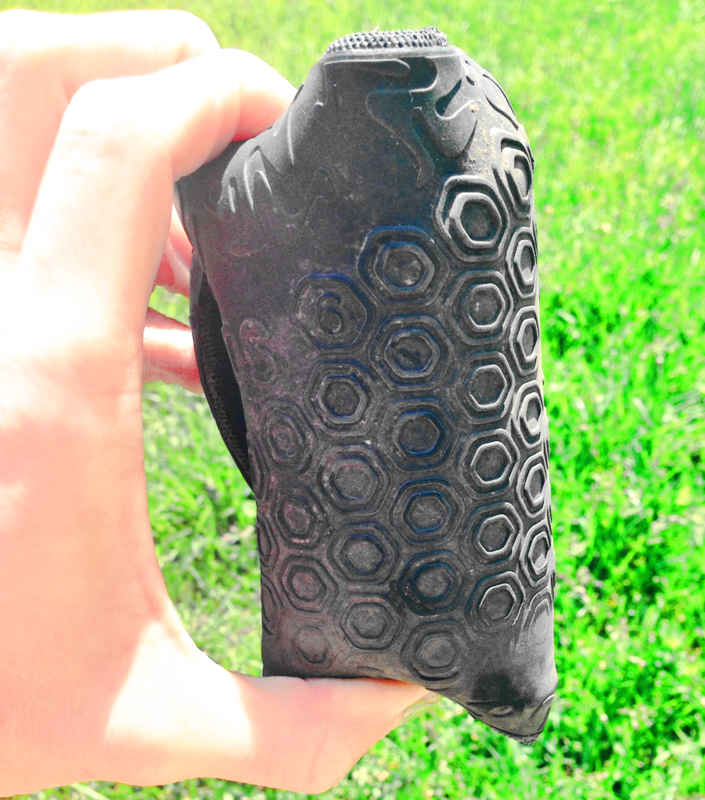 The Sockwa X8 even provides better ground-feel than most Vibram Five Fingers! I also found the overall infrastructure of the Sockwa X8 to be more durable, more long-lasting than most thinner Vibram models. Another reason the Sockwa X8 is so prized is because despite the shoes incredible all-around thinness, the X8 does an outstanding job at keeping your feet warm in the winter, when paired with socks. The Sockwa X8 is virtually a lighter, softer, more flexible and warmer variant of most Vibram Five Finger models and does a great job at merging durability and ample ground-feel, feeling like you’re wearing nothing on your feet, yet the shoe is superbly built to last. There’s nothing fancy about the Sockwa X8’s upper, but who cares because function is more important than fashion when it comes to developing and sustaining strong, healthy, more tolerant, pain-free feet! Like a true barefoot-inspired minimalist running shoe, the upper of the Sockwa X8 completely lacks stiff, restrictive support structures, which in turn, will work even better for enabling muscular engagement throughout the foot, helping your feet stay powered up in functional strength! In looking at the Sockwa X8’s upper, there’s virtually no supportive structures above the foot, which gives the shoes its unmatched flexibility which ensures a steady flow of muscular engagement throughout the entire foot, helping foster greater resilience in foot functional strength. The upper of the Sockwa X8 is also incredibly stretchy and adaptable, so it’s unlikely that you’ll have serious fitting problems. Plus, the ample flexibility in the forefoot gives your toes plenty of wiggle room and easily allows forefoot expansion and toe splay which is essential for enhanced balance control, making it easier to avoid ankle injury during running. The simple design of the Sockwa X8’s upper isn’t bogged down with unnecessary over-lays or plastic materials like the upper of many minimalist running shoes and of course, most traditional running shoes, which is reason the X8 enables you to feel incredibly agile and efficient. Not mention, the upper is constructed with a moisture-wicking lining, keeping your feet extra comfortable in hotter temperatures. Many wear-testers, including myself, best describe the Sockwa X8’s upper as giving a wet-suit-feel to the feet. That’s because the upper is made of a paper-thin, breathable Ariaprene foam, permitting enough airflow to keep your feet cool in the summer. Moreover, the lining is of a moisture wicking fabric that has anti-odor properties, keeping your feet fresh and odor free! Even though the Sockwa X8’s upper is thermal enough for frigid, brutal winters, I was pleasantly surprised at how the upper provides generous airflow, keeping my feet cool in the summer! Ultimately, I think the upper is one of the most surprising features of the Sockwa X8 in that despite its thinness and unstructured interface, the upper is well-capable of delivering a terrific balance of warmth for the winter and coolness for the summer. The upper provides nothing but comfort when running in any temperature! Its weather versatility is what really sets the Sockwa X8 apart from most barefoot-style running shoes as the X8’s upper is constructed with light fabrics that provides a reasonable amount of insulation for the winter, but wont overheat your feet in the summer! Another aspect I really appreciate about the Sockwa X8’s upper is that there’s no fussing with toe-sockets, straps or laces, rather the very few materials of the X8’s stretchy upper provides an adaptable fit, hugging to the contours of your foot to provide a glove-like seal and a locked in fit, fitting snug, but not tight up the ankle, keeping debris out, especially when running on the beach. 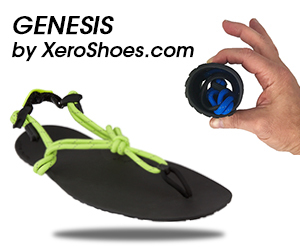 Last but not least, you can wear the X8’s comfortably without socks without worry of hot-spots or blistering! But for optimal warmth, I prefer to wear my X8’s with socks during the cold, wintry months. The 2-mm thin outsole of the Sockwa X8 is literally the thinnest slab of rubber you can possible get in a minimalist running shoe, yet the X8’s outsole has a surprising amount of durability that can outlast the outsole of most minimalist running shoes in its class! So far, I’ve racked up at least 500 km of running miles, mostly on hard pavement. As you can see, the tread has barely worn-down. 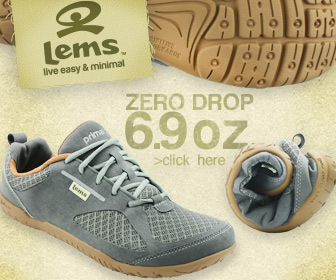 The tread pattern is also slip-resistant, so you have no reason NOT to run in the rain. Despite having high-traction and impressive durability, the outsole of the Sockwa X8 is supremely flexible and can be easily, completely rolled-up and folded without strife! This high-degree of flexibility is key for continuous engagement of the foot’s muscles, thus foot weakness can easily be avoided with greater use of the shoe. The outsole of the Sockwa X8 is zero-drop, completely flat, soft and beyond flexible, making it an exceptional full-on racing flat equipped with traction features to keep your feet grippy on slippery surfaces during running and walking. Ultimately, you can expect an efficient, fast-feel from the Sockwa X8’s outsole, which also provides large volumes of sensory input necessary to keep you from heel striking during running, which is absolutely essential in reducing high impact loads on the shins and knees. The sensory-richness you get from the outsole really does renew your foots role in safe, light and responsive forefoot running and will undoubtedly exceed your minimalistic expectations. 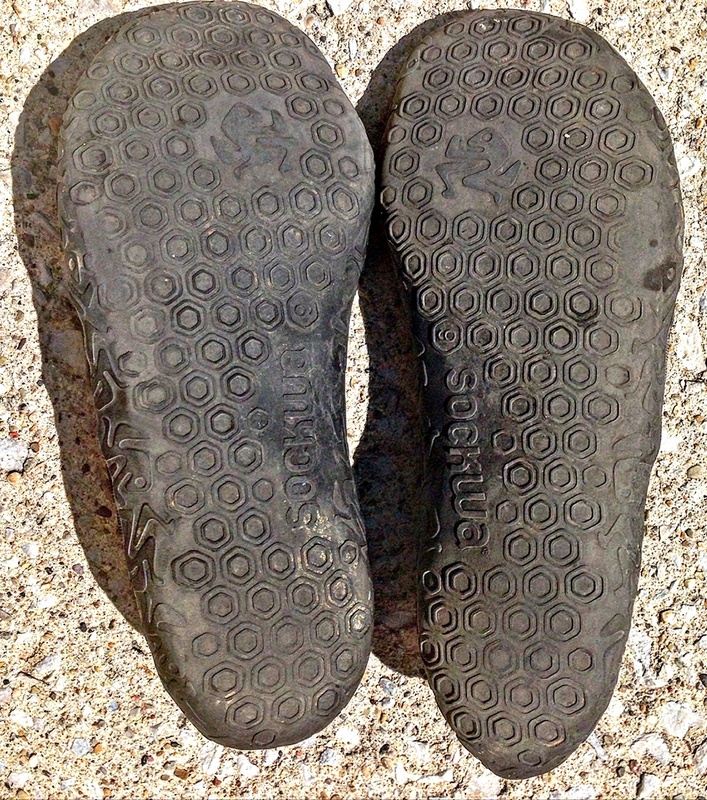 I can’t emphasize enough that the outsole of the Sockwa X8 almost fully reproduces the feel of the barefoot condition. In that regard, if you are eager to learn forefoot running and don’t like the thought of running barefoot as a means to improve your running form, I highly recommend the Sockwa X8 for the job as its outsole is incredible at providing a steady flow of sensory feedback that makes it easier to achieve a more perfect forefoot strike. The star of the Sockwa X8 is its astonishing thin outsole which comes in handy for delivering immediate sensory feedback that will help you piece together improvements in your forefoot running stride, yet it offers more durability than most barefoot-style running shoes! Always remember that strong evidence suggests when you can feel the ground, you run with better avoidance behavior in your lower leg reflexes, meaning you step lighter because of enhanced foot-strike intensity awareness as well as more securely reinforced balance stability, helping you avoid high loads. This is how you avoid running injuries, especially bone injuries! This is how the Sockwa X8 can help you maintain the ability of producing and sustaining more productive, proactive running mechanics. Sizing tip: the Sockwa X8 fits snug, like a glove, so make sure you select a full size up from your regular size. For a more in-depth look at the Sockwa X8, I also did a YouTube review on them here! 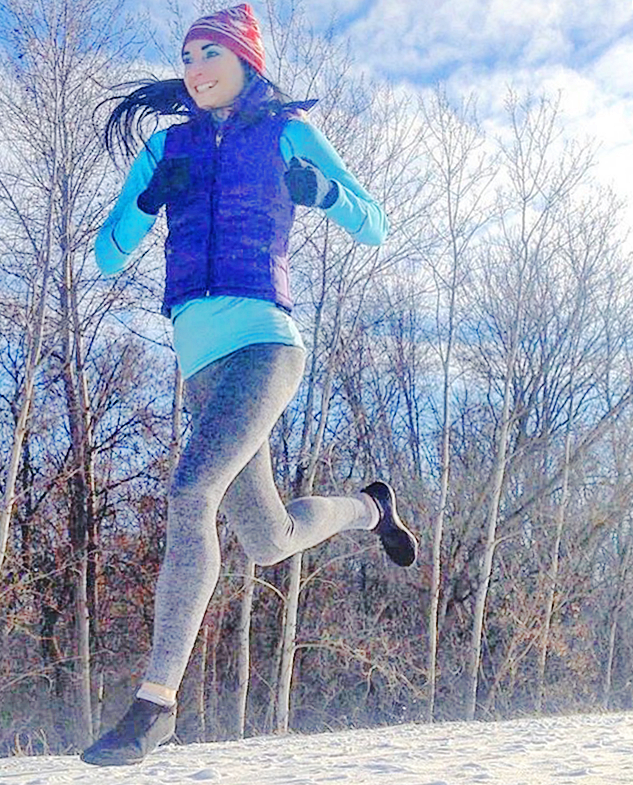 If you’ve enjoyed this minimalist running shoe review, you’ll love my other ones here!